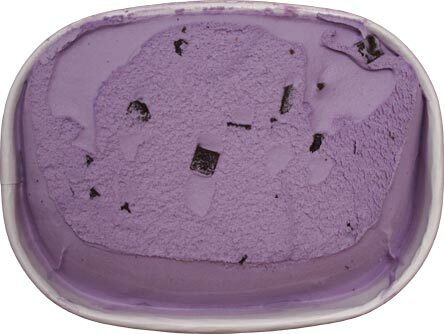 Sure looks like black raspberry ice cream. 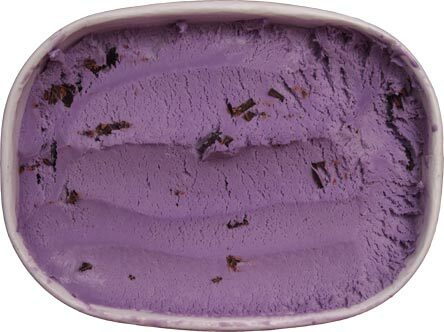 If you've ever wanted your black raspberry ice cream to be chewy and full of chocolate chips, then this ice cream is for you. 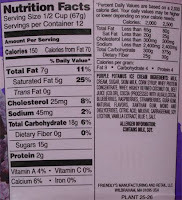 If you prefer a more traditional black raspberry flavor, look elsewhere. Yeah, I've got nothing to say here. 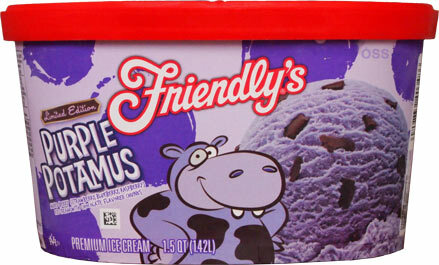 It's not terrible but it doesn't connect me to the wonderful black raspberry ice creams of my youth. It's just the bleck of cheezy ice cream that we get today. On Second Scoop: I tried to snag a small serving that was mostly chocolate free so I could get a better sampling of the base. There is definitely a distinct strawberry flavoring mixed in, so that's nice that you can actually tell the difference. That said, this one is boring me. 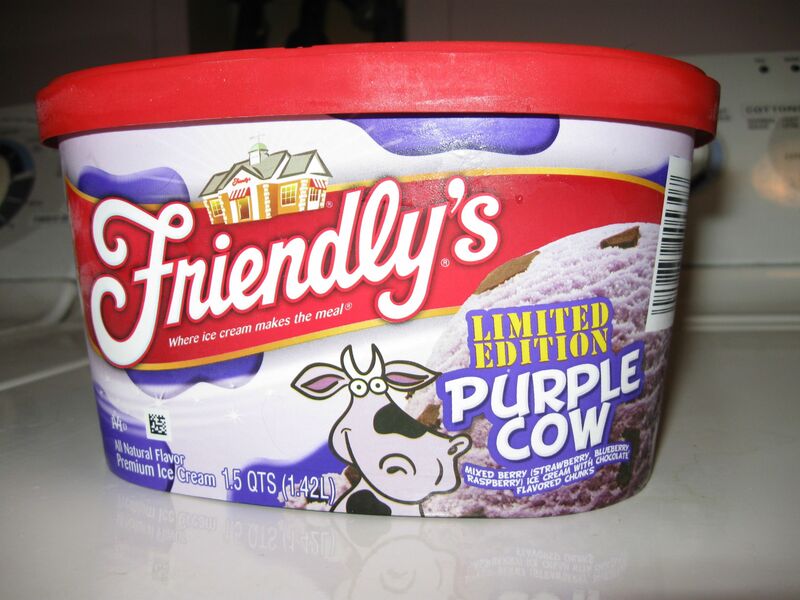 Friendly's black raspberry ice cream is a very distinct (and tasty) part of my childhood and I just can't settle for something like this. Yes, the gist is the same, but the texture is not. It's not super gummy, but it doesn't have that wonderful sweetness and creaminess it did so long ago. I'm sorry, but I just can't shake my bias on this one. They've slowly been edging their way to frozen dairy dessert status. 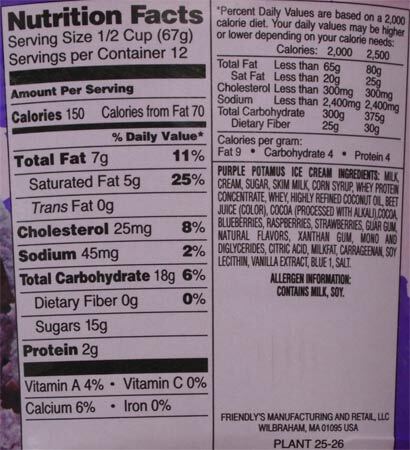 Items like their Sundae Xtreme flavors have been FDD for awhile now and now their "premium" stuff has been relying less on the good stuff and more on gums and such. Please do a review of the new Sonic custard! I don't know why they can't just say pick your custard base and mix in instead of pairing them up for the customer though. It was definitely better back then! Also, I have one of the new sundae containers in my freezer, we just haven't cracked it open yet. Between my fear of letting my son eat at nut filled Sonic and just the general distance to actually get to sonic, I don't foresee heading there anytime soon. (they used to send gift cards which negated the cost & time to get there, but they don't anymore). I have to say that I have been a Friendly's ice cream eater since I was a child, and lately I have been very disappointed in the decline of quality. However, this flavor was intriguing to me and I loved it! I think I'm on my 3rd carton since it came out. It reminds me of black raspberry, but with a little something extra. I dunno, I just feel like Friendly's redeemed themselves a little bit in my book with this one. Yeah, the strawberry definitely adds something different to this one, so I understand the repurchase (especially since it's limited edition). I just finished a container of this and am definately going to get more. I LOVED it.